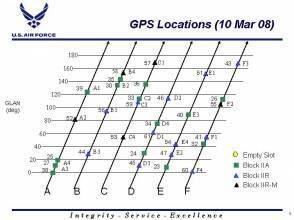 An increasingly likely $97.4-million cut in the GPS OCX budget for fiscal year 2010 (FY10) would slow down work on modernization of the operational control segment, but the Air Force would try to recoup any reduction in the FY11 budget. Meanwhile, technical problems that have delayed development of the follow-on generation of Block IIF satellites are largely resolved and a first launch is expected in May 2010. Officials from Air Force Space Command’s Space and Missile Systems Center’s GPS Wing have announced the release of a request for proposal (RFP) for Phase B of the Next Generation GPS Control Segment (OCX) contracts. (Updated Jan.26) President Barack Obama’s nomination of William J. Lynn III, a senior vice-president at Raytheon Corporation, for deputy secretary of defense and his granting Lynn a waiver from the new administration’s own rules on former lobbyists has provoked considerable criticism from some quarters. As the number two official in the Department of Defense (DoD), Lynn would report directly to Robert Gates, the current secretary of defense who has continued in that position in the new administration, the only holdover from ex-President Bush’s cabinet. Gates has come out strongly in support of Lynn, saying that he requested the waiver from the president. Committee (ExCom). 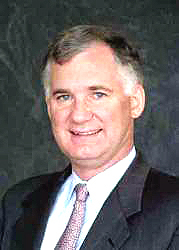 Lynn would succeed Gordon England, who has paid a lot of attention to GPS during his term in office and enhanced the role of the PNT ExCom as an arbiter and advocate for the GPS program throughout the federal government. As speculated might occur, Lockheed Martin has joined the Northrop Grumman Corporation team competing for the GPS Next Generation Control Segment (OCX) Phase B contract. Lockheed had led its own team in the first round of competition that ended last November. With Boeing as part of the other prospective OCX team headed by Raytheon Corporation, both companies with experience operating the GPS ground-based infrastructure are playing supporting roles for the contest to build the new control system. The GPS program has passed a milestone of sorts with the first allocation of funds from civil agencies to pay for a portion of the core GPS budget. The Fiscal Year 2008 (FY08) budget for the U.S. Department of Transportation (DoT) sets aside $7.2 million as the first installment on the civil share of GPS modernization efforts, including the L1C signal that will be transmitted on the GPS Block III satellites and costs of monitoring the civil GPS signals in the modernized ground control segment (OCX). For the FY09 budget, the Bush administration has requested a $20.7 million allocation. The total five-year civil contribution (FY09-13) is expected to be more than $200 million. 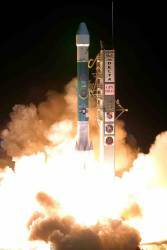 Successful launch of a GPS Block IIR satellite on March 15 continues a U. S. Air Force initiative to bolster the nation’s GNSS constellation against anticipated failures of aging on-orbit spacecraft while improving system accuracy and accelerating the availability of new military signals. An analysis of the condition of subsystems on GPS satellites in orbit last year indicated that up to nine GPS space vehicles (SVs) could fail in the near future, according to Col. David Madden, commander of the GPS Wing at the Space & Missile Systems Center, Los Angeles Air Force Base, California. “That’s what drove us down this path of launching five in one year,” said in a recent news conference. In a somewhat surprising development, the U. S. Air Force turned to two new vendors — Northrop Grumman Corporation and Raytheon — in a November 21 announcement of contracts for the Next Generation GPS Control Segment (OCX).